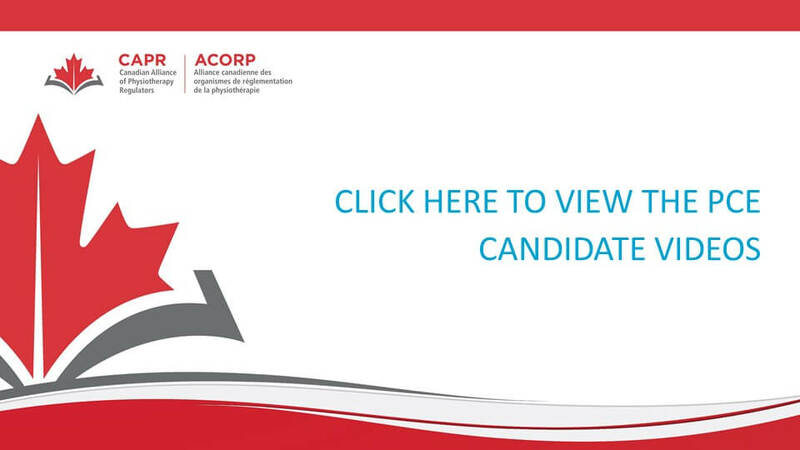 To become a licensed physiotherapist in Canada (except for Quebec) you must successfully complete the Physiotherapy Competency Examination (PCE) before you are eligible to obtain an independent licence to practice in Canada. Click here to learn more about the format of the PCE, as well as the associated costs and typical overall timeline. The PCE tests the essential competencies of physiotherapy practice – the essential knowledge, skills and abilities. The PCE has two components. You must successfully complete the Written Component before you can take the Clinical Component. Exam Tip Line: Tell us if you know of cheating or a security breach. Email tipline@alliancept.org.